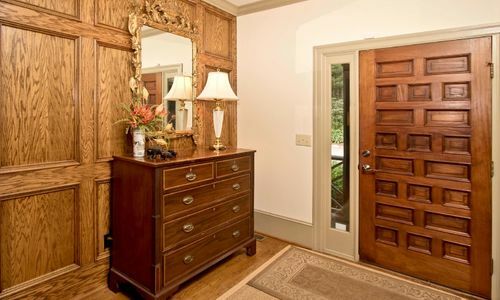 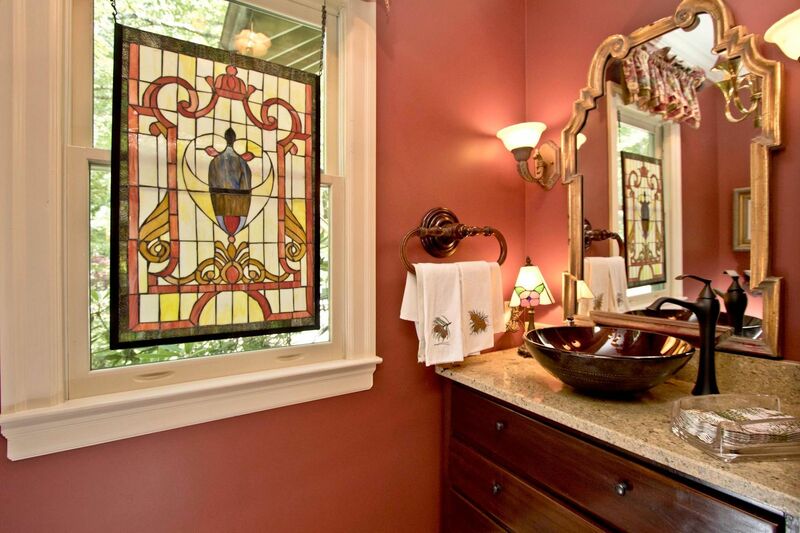 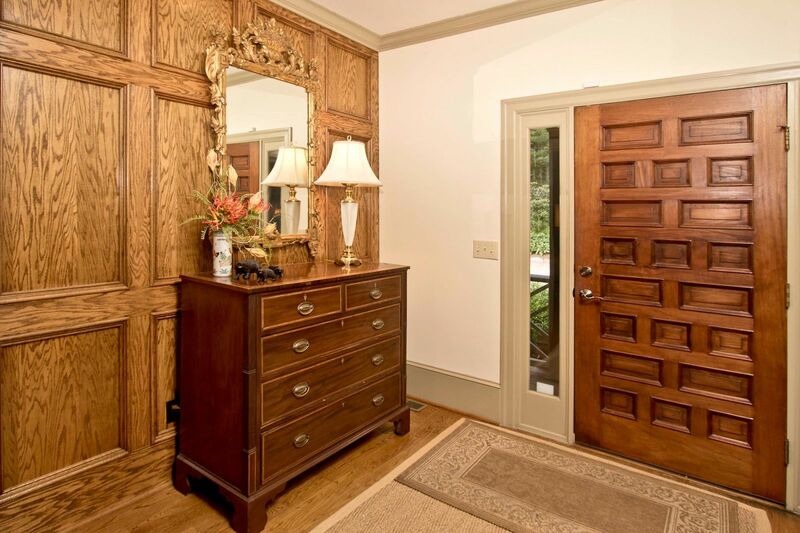 Lovely Arts & Crafts Style Home Located in One of the Most Desirable Locations in Downtown Highlands. 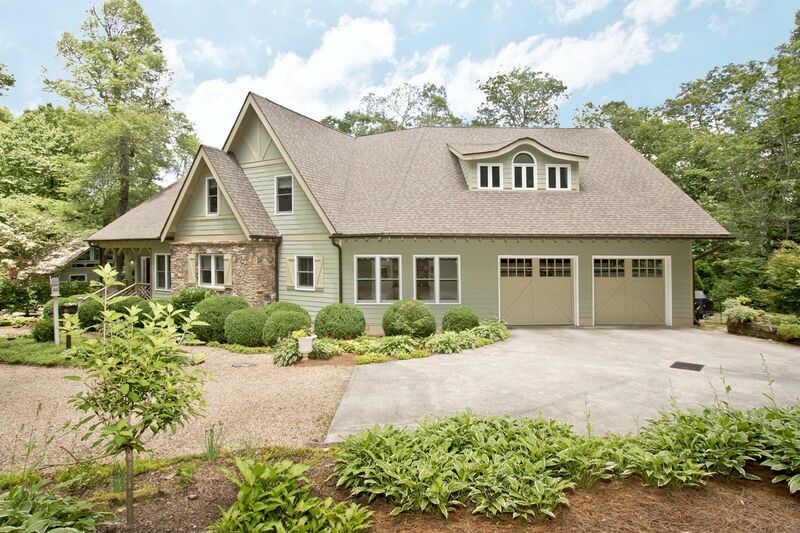 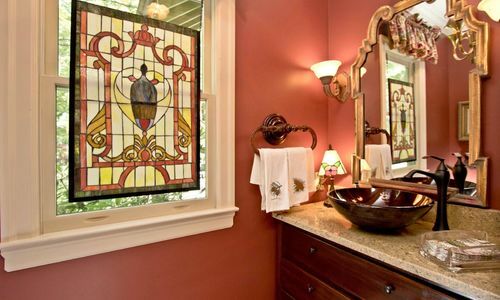 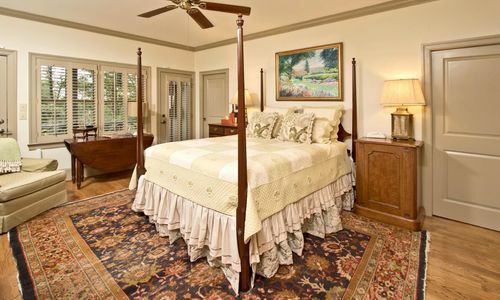 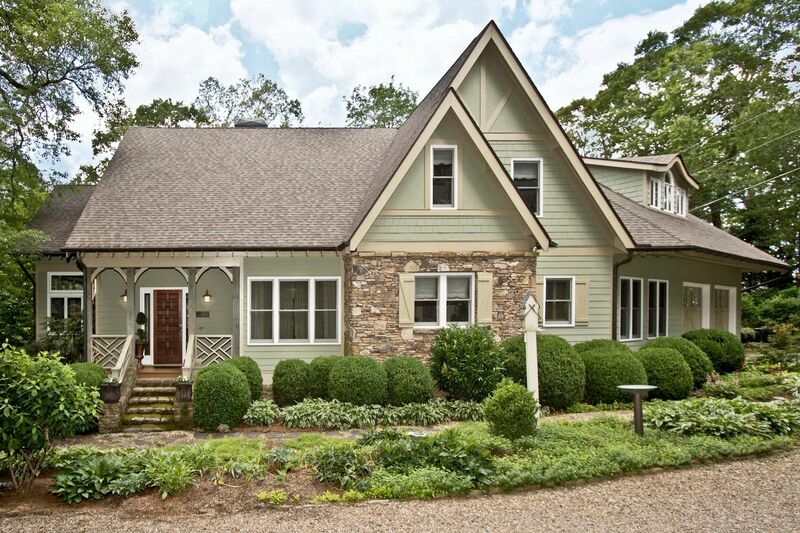 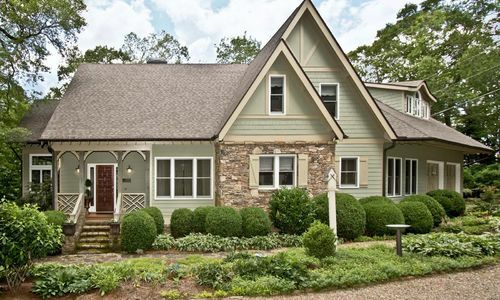 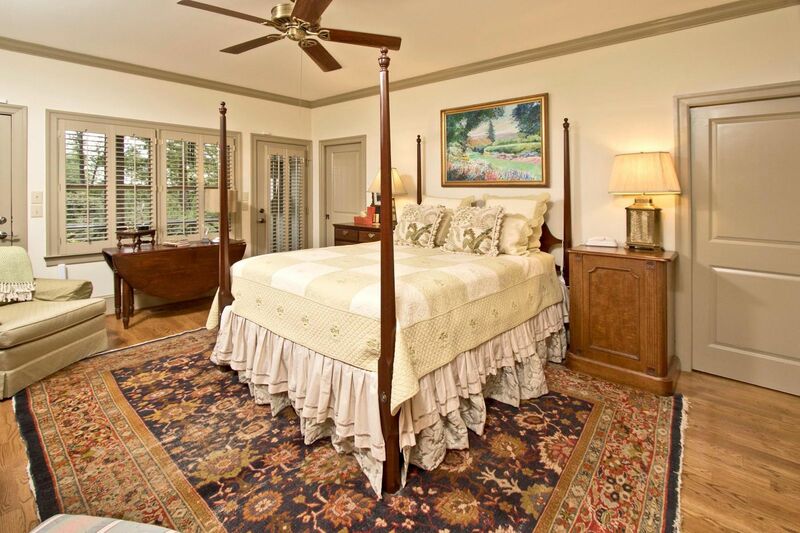 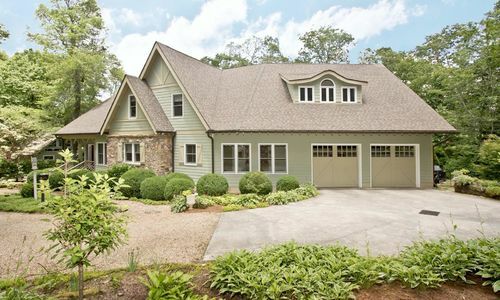 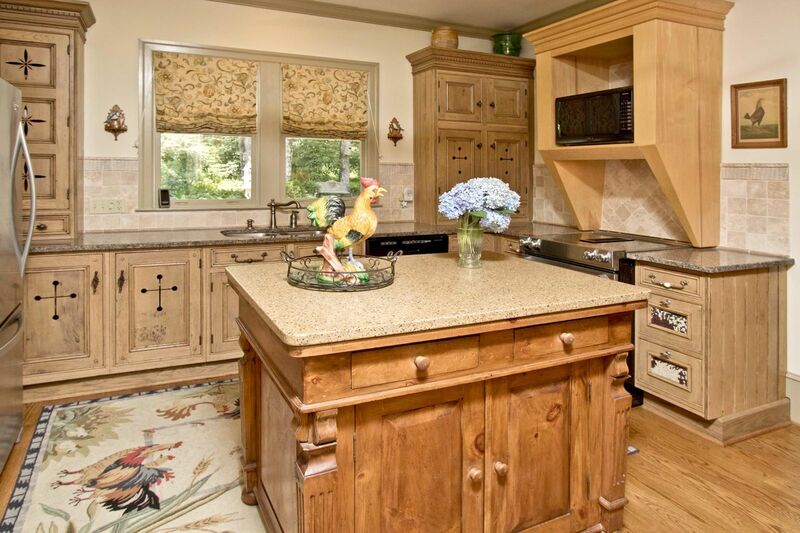 This lovely Arts & Crafts style custom 3 bedroom, 4 1/2 bath built in 2000 has updated throughout the years. 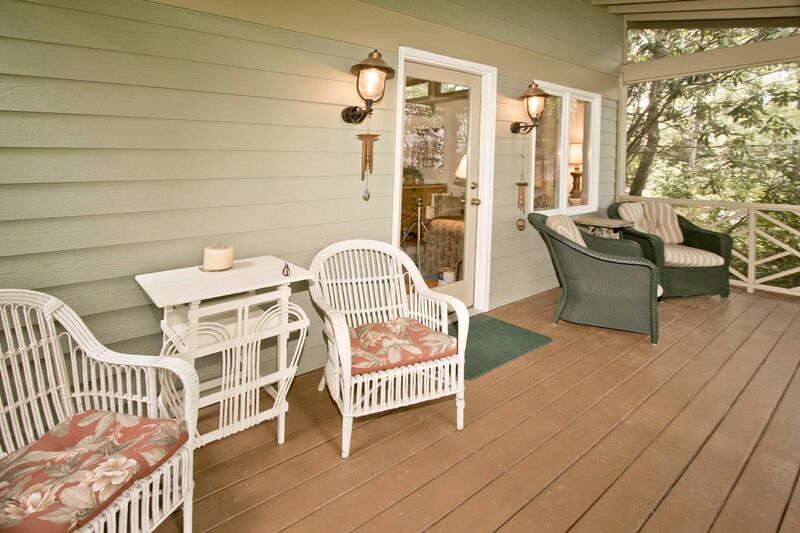 It is located on Big Bear Pen is one of the most desirable locations in downtown Highlands. 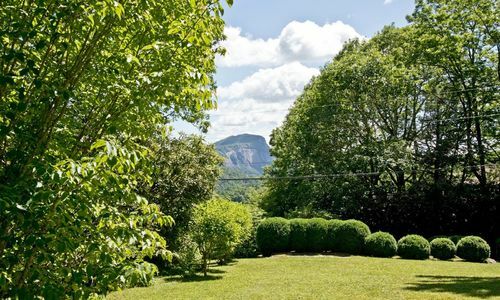 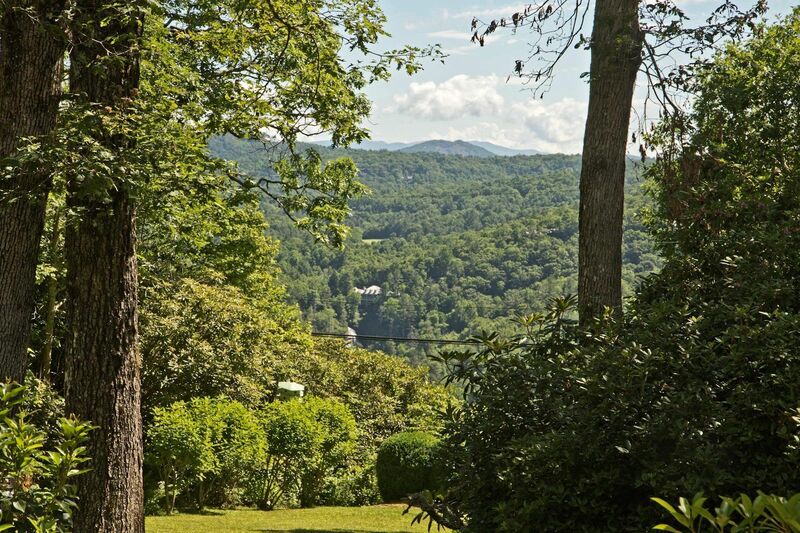 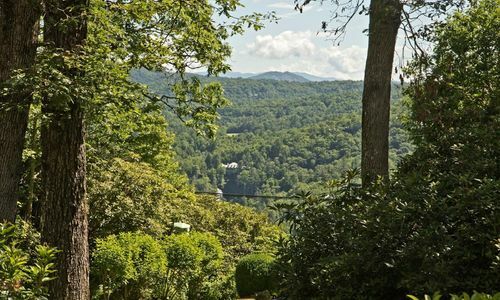 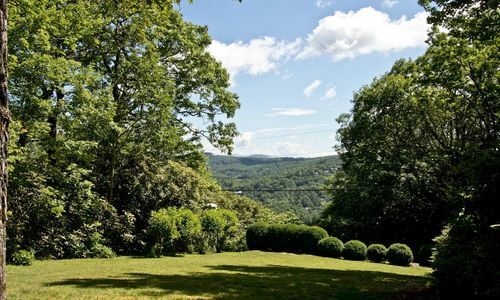 From your front door at 4100+/- ft. elevation you can hike the Kelsey Trail into downtown Highlands.Seated in your sunroom or your covered porch with its wood burning fireplace, you can admire the beautiful views of the stone face of Whiteside Mountain and the cascading falls at Highlands Falls Counrty Club. 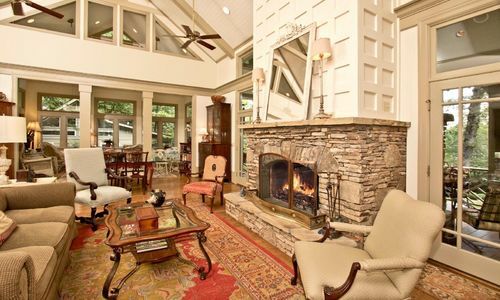 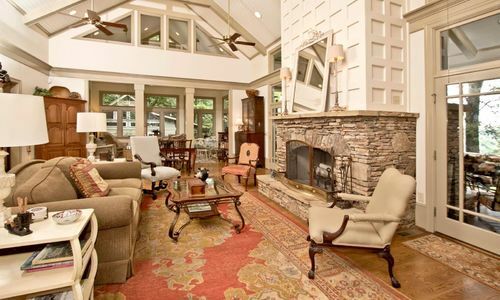 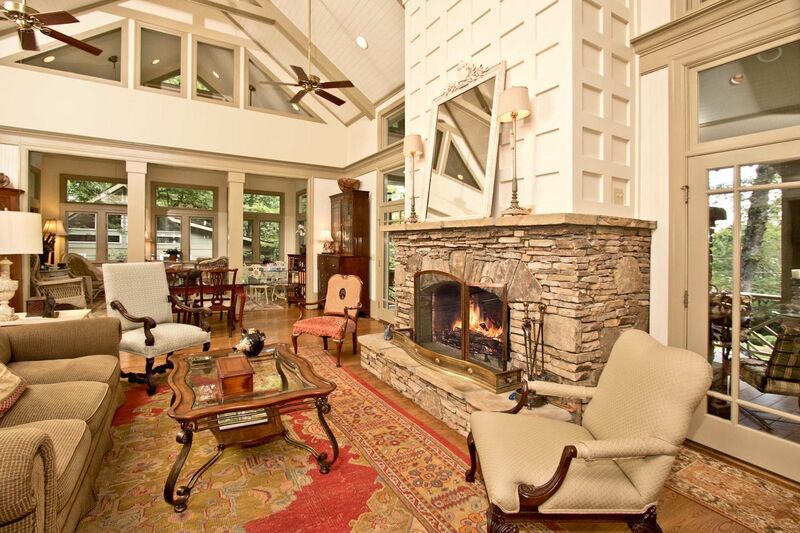 As you walk through the foyer you are greeted by the spacious light -filled great room with beamed cathedral ceiling and living room with large stone fireplace. 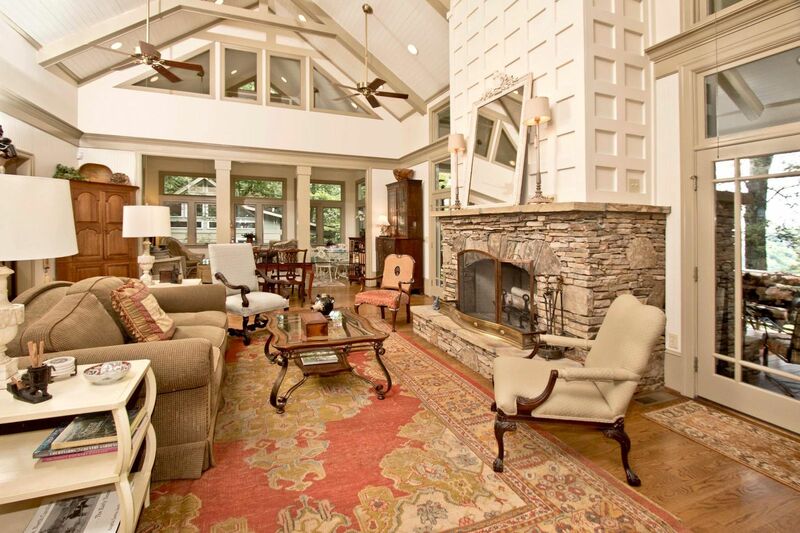 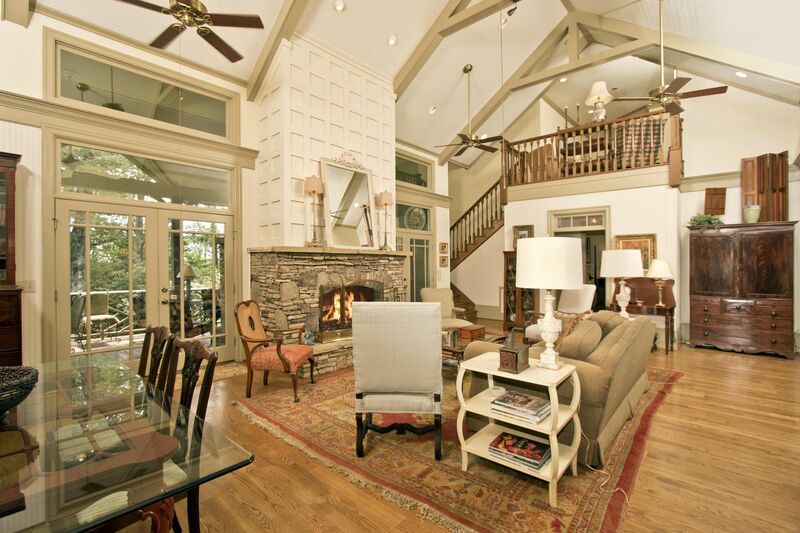 This open floor plan with its formal dining area and outdoor living space is the perfect home for entertaining. 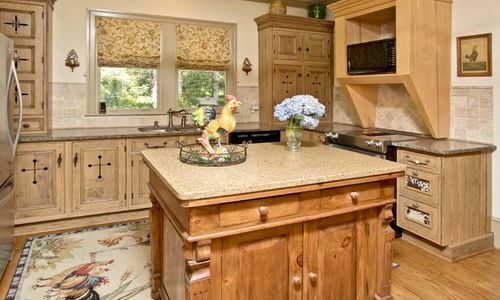 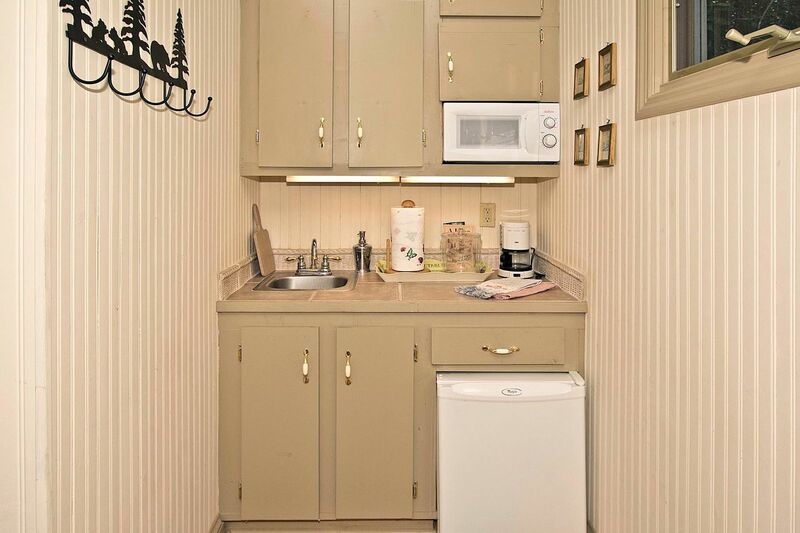 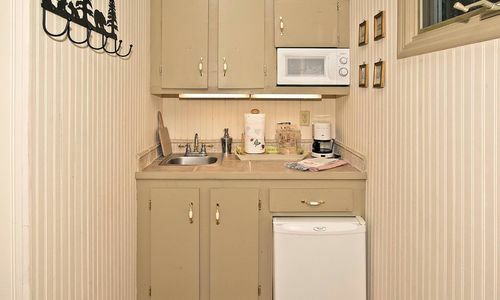 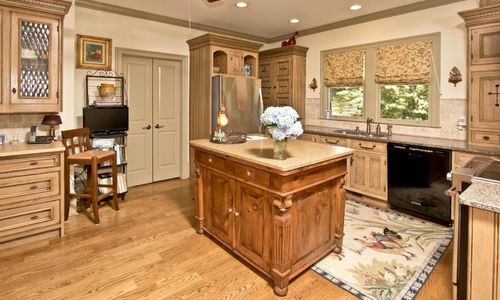 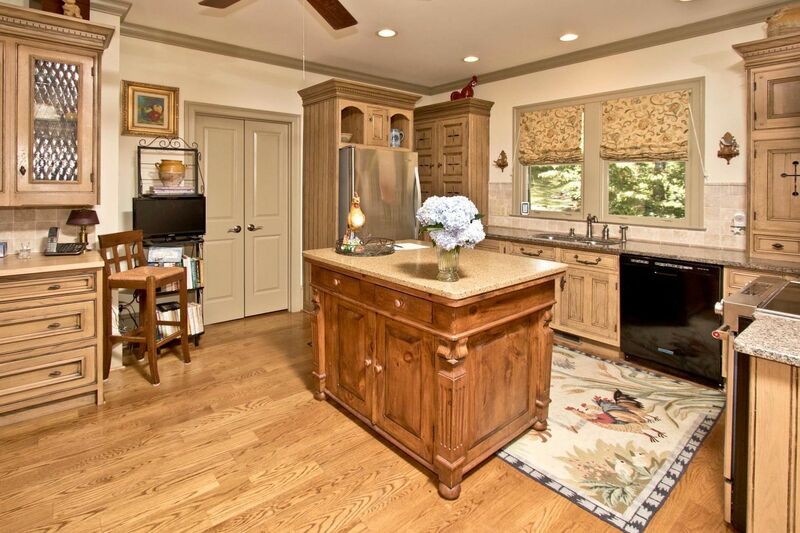 The kitchen features beautiful English cabinetry and granite counters with a large pantry. 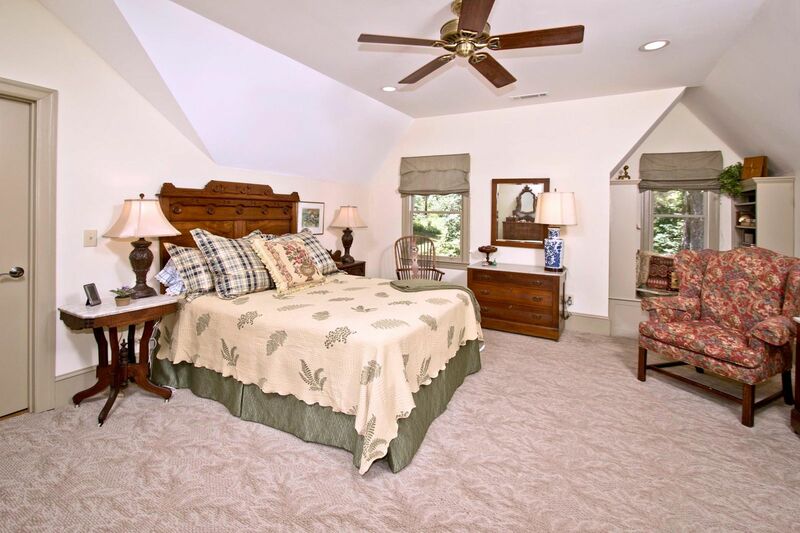 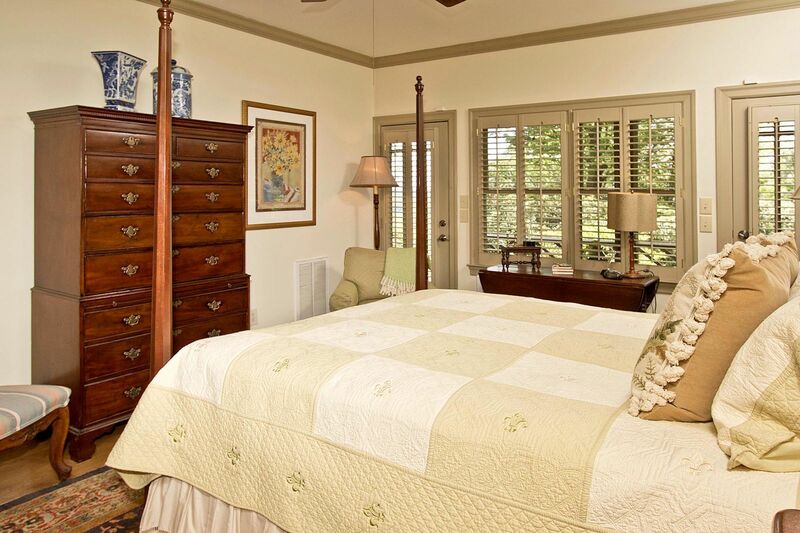 A spacious master suite on the main has his/her walk-in closets, dual cedar closets, as well as an area for a nursery or office. 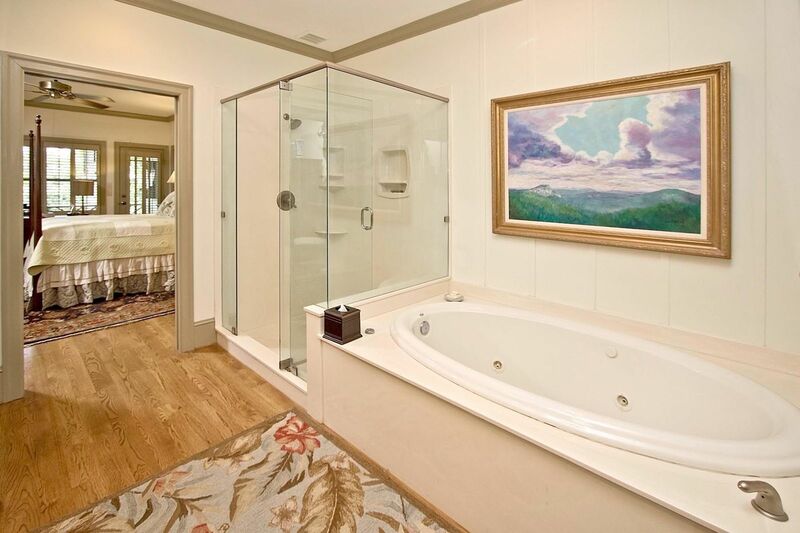 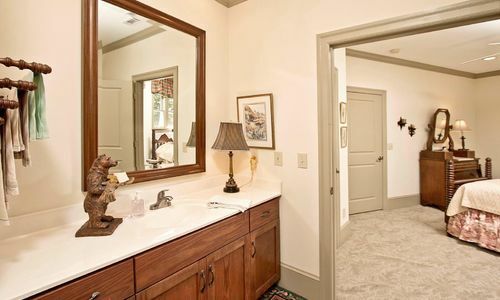 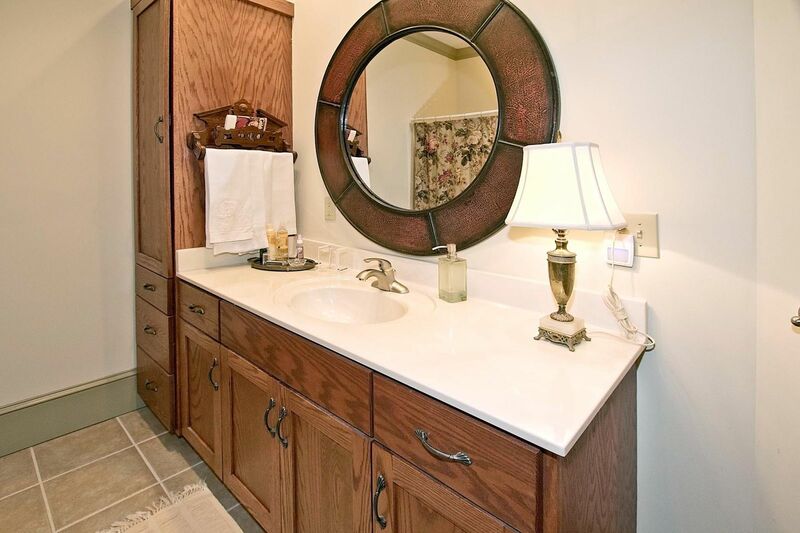 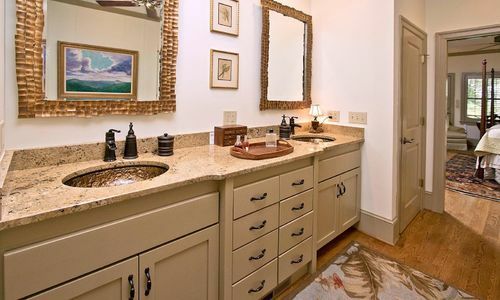 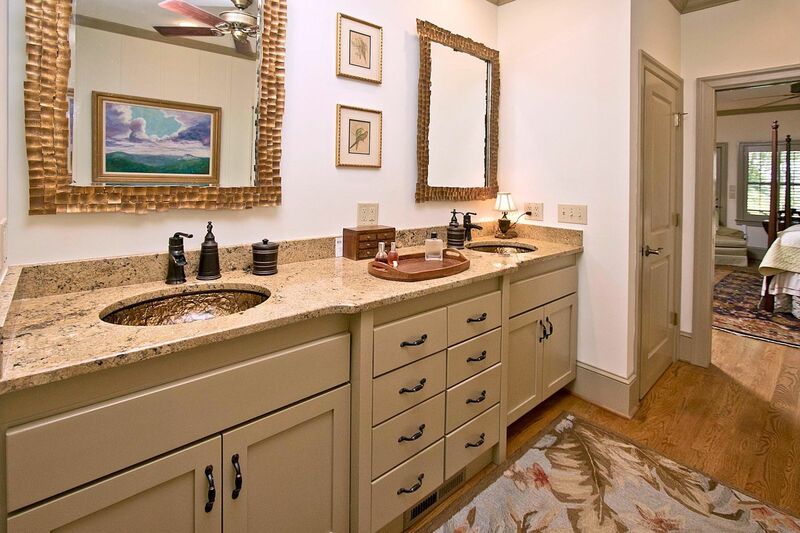 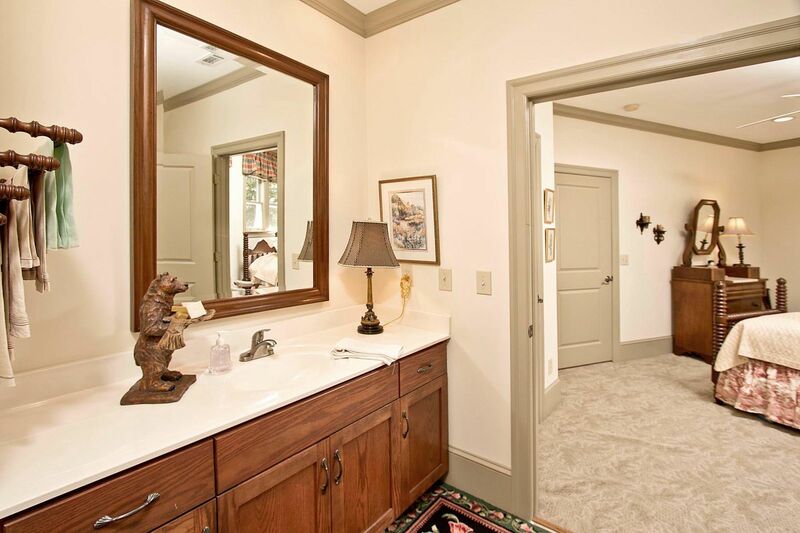 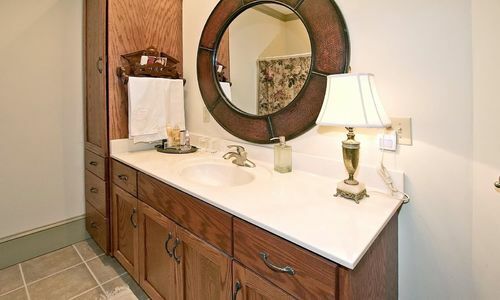 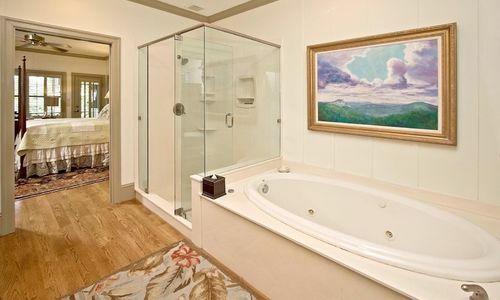 Master bath features dual vanities, with custom cabinets with granite tops, separate shower, a jetted tub, with adjoining laundry. 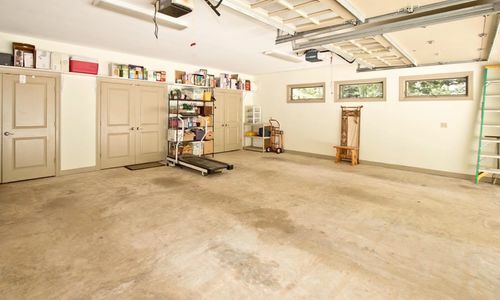 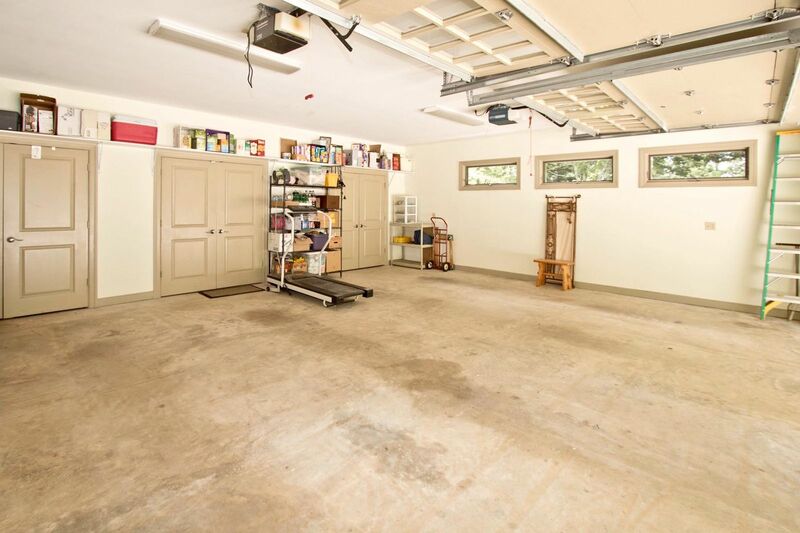 An attached large 2 car garage for easy access. 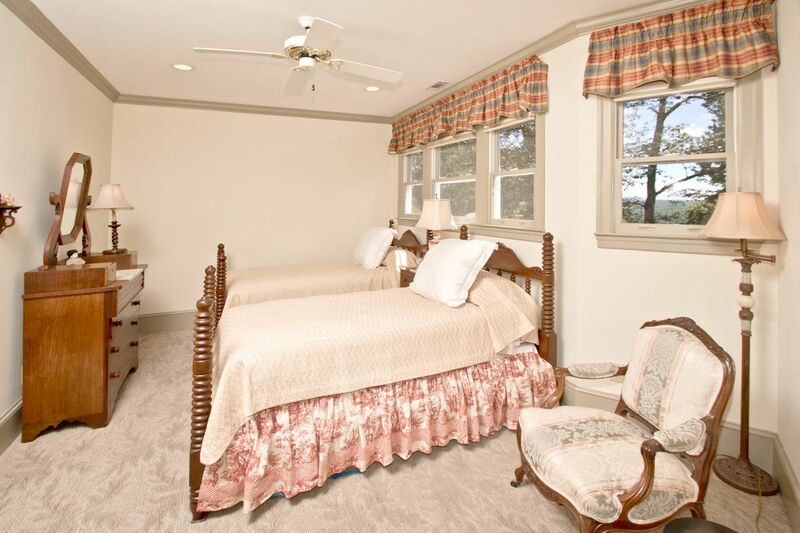 Upstairs you’ll find two spacious guest suites, each with private bath, plus a reading/game area at the top of the stairs. 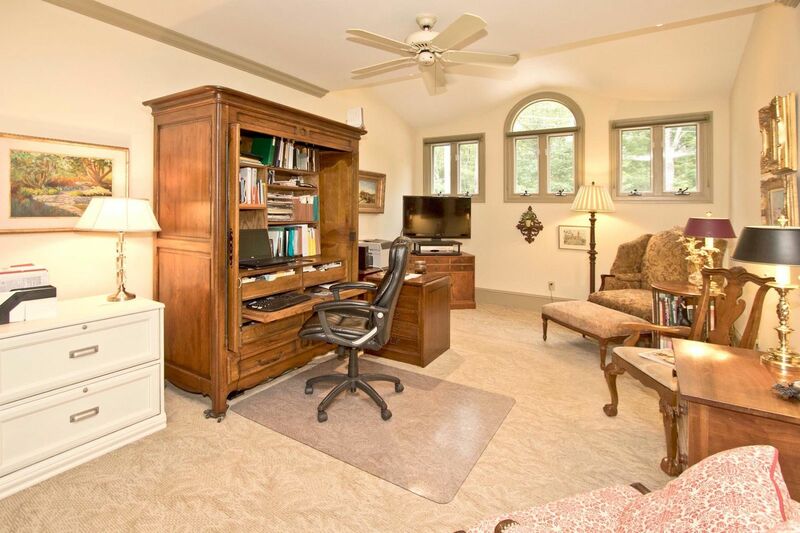 A Media/family room adjoins a large office. 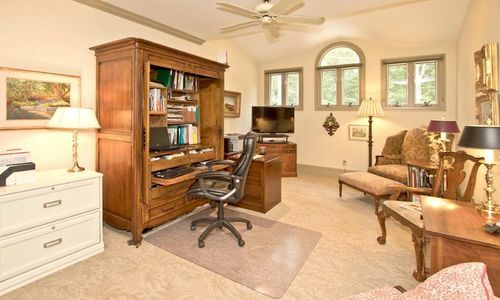 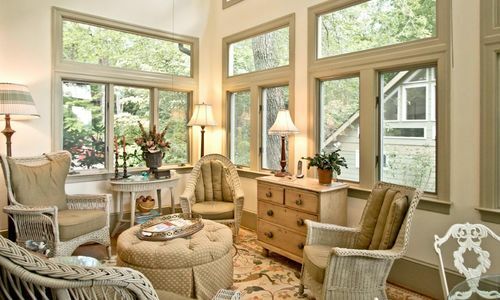 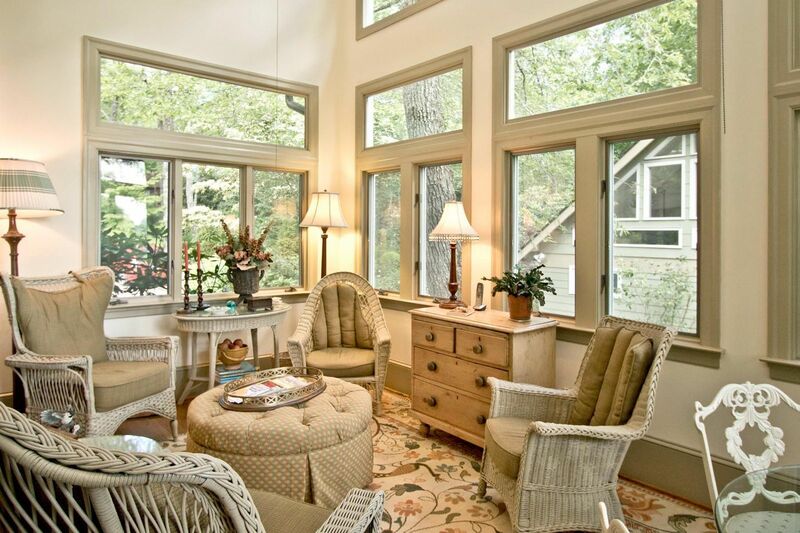 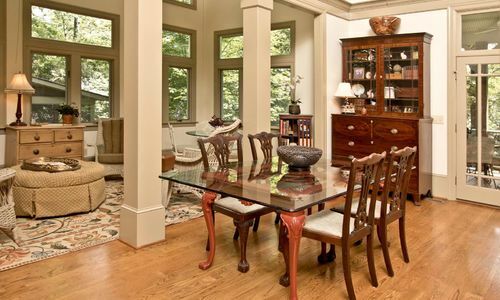 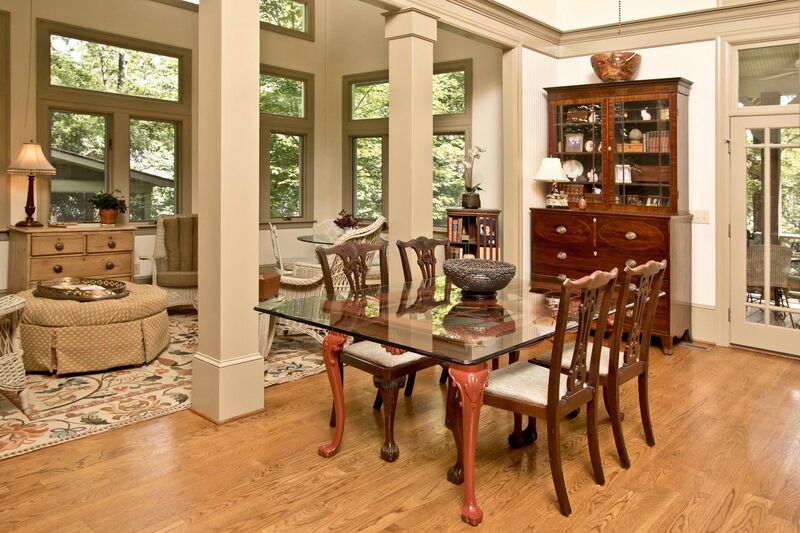 This home offers an abundance of storage, wide doors, lots of windows, providing great lighting. 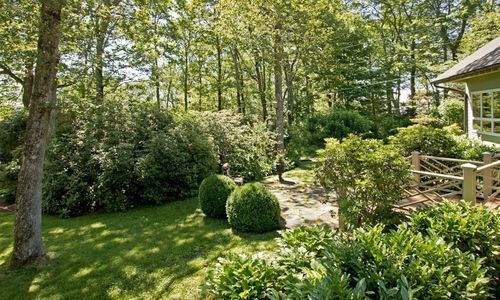 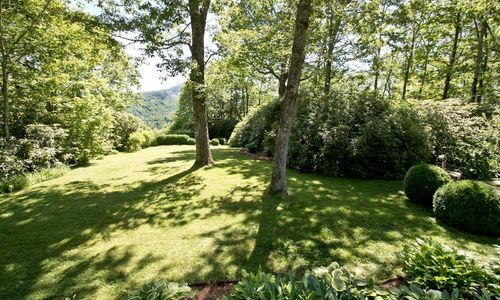 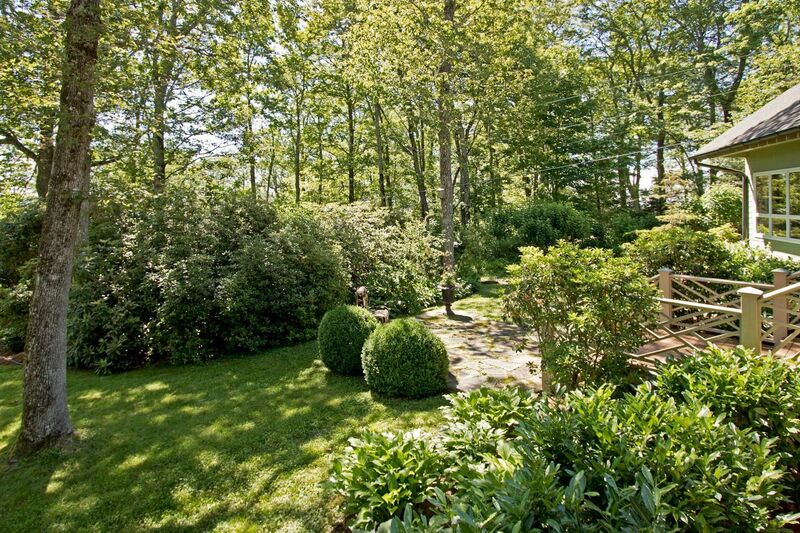 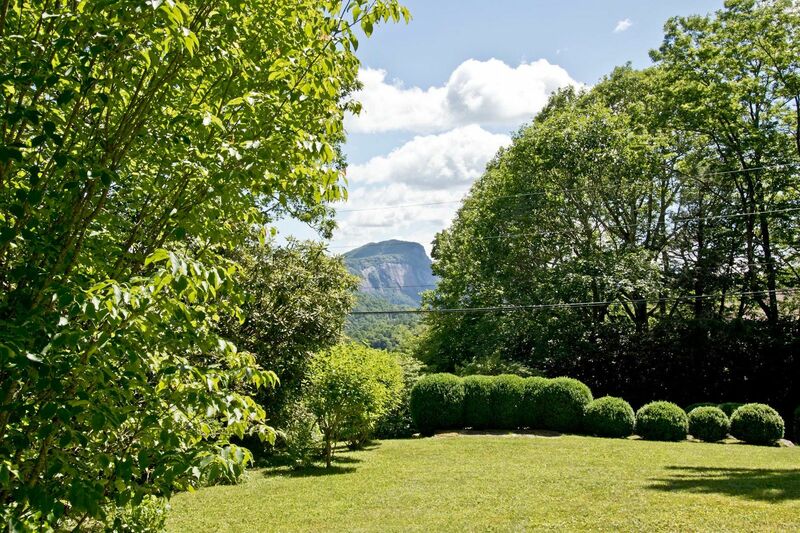 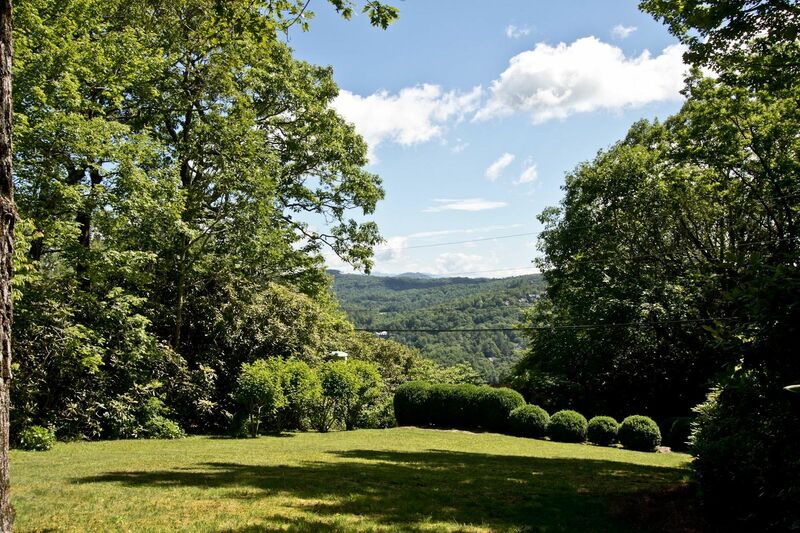 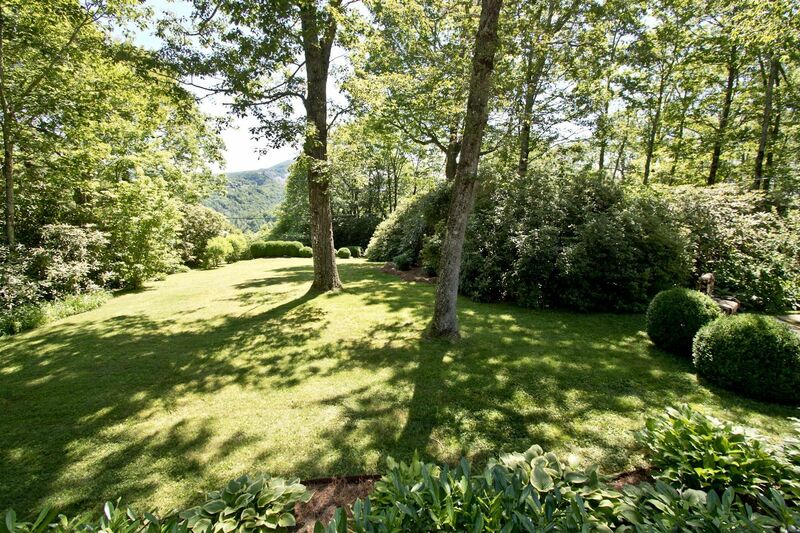 The grounds are gently rolling and beautifully landscaped. 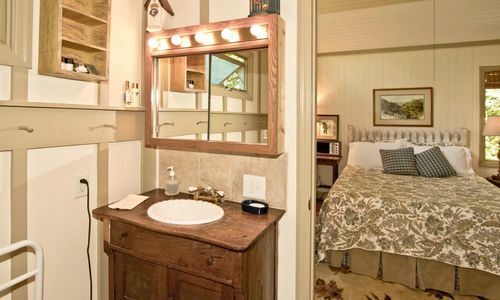 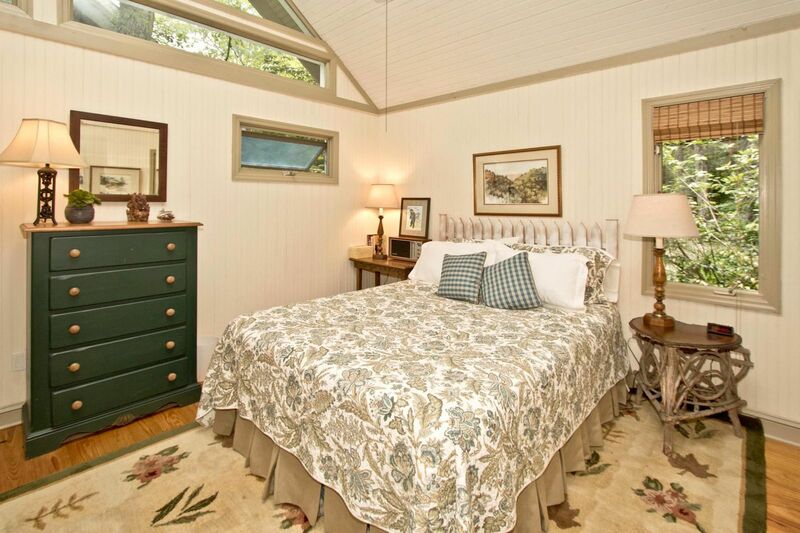 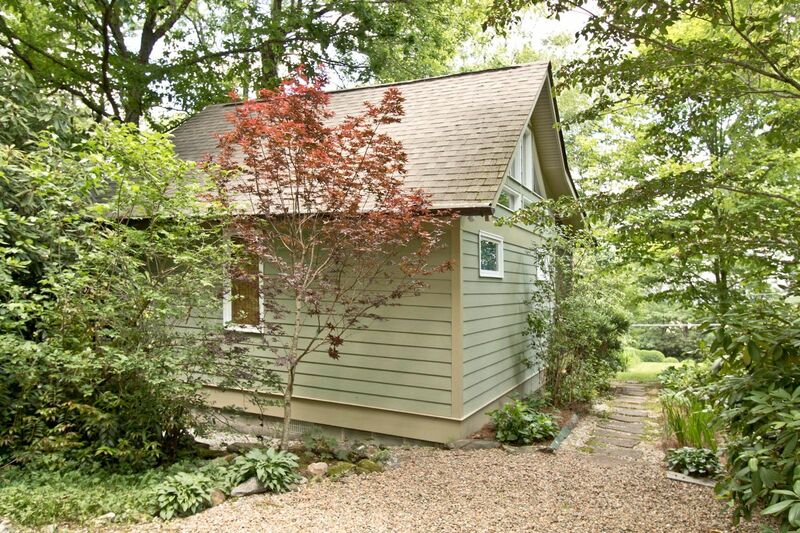 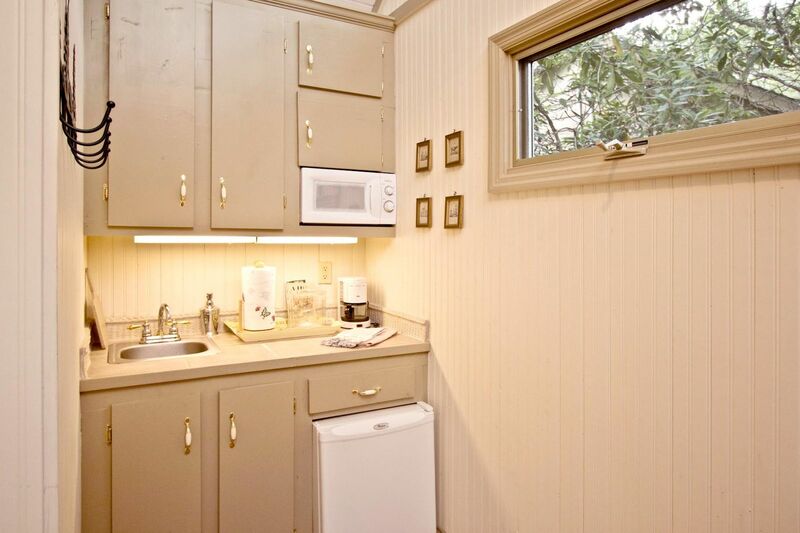 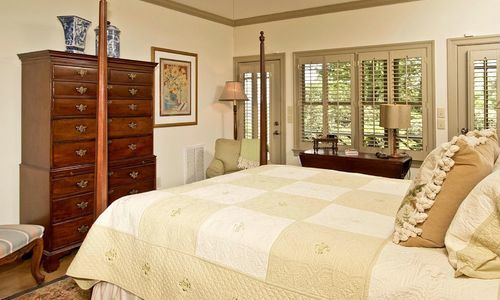 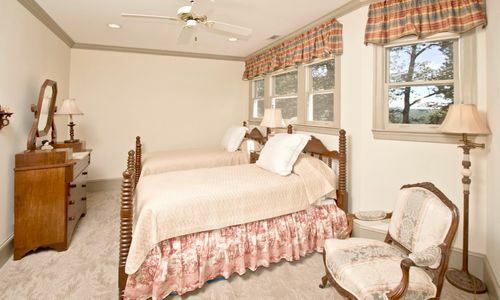 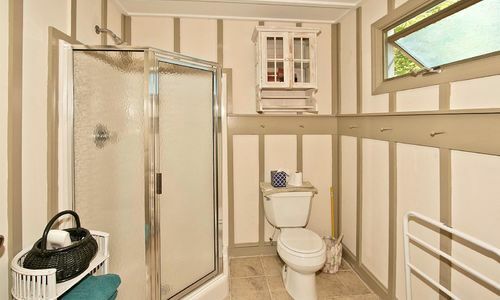 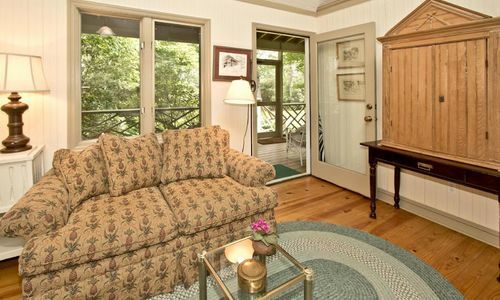 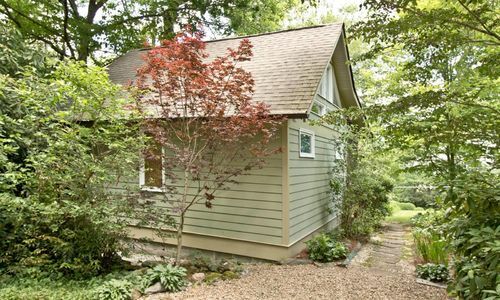 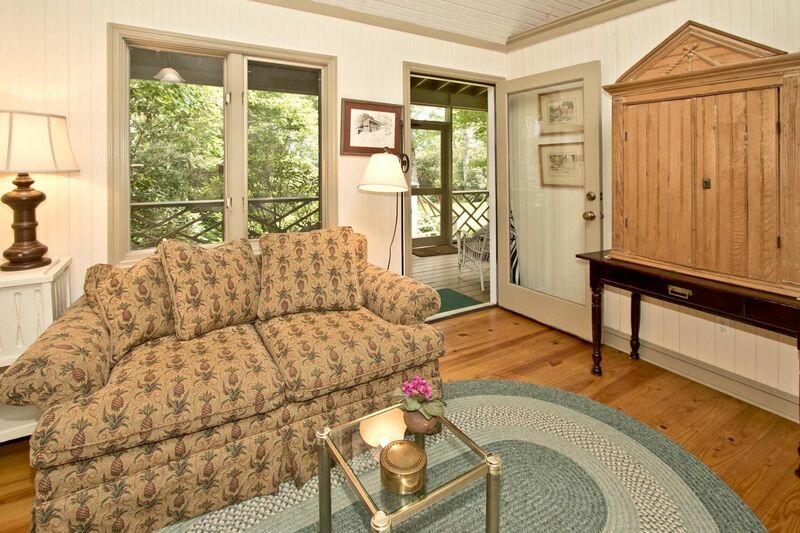 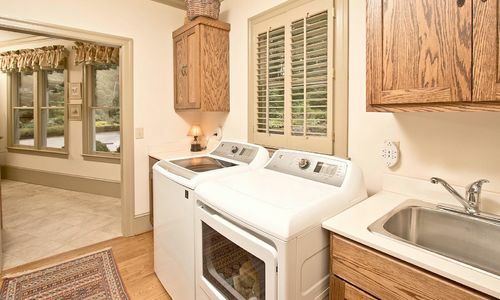 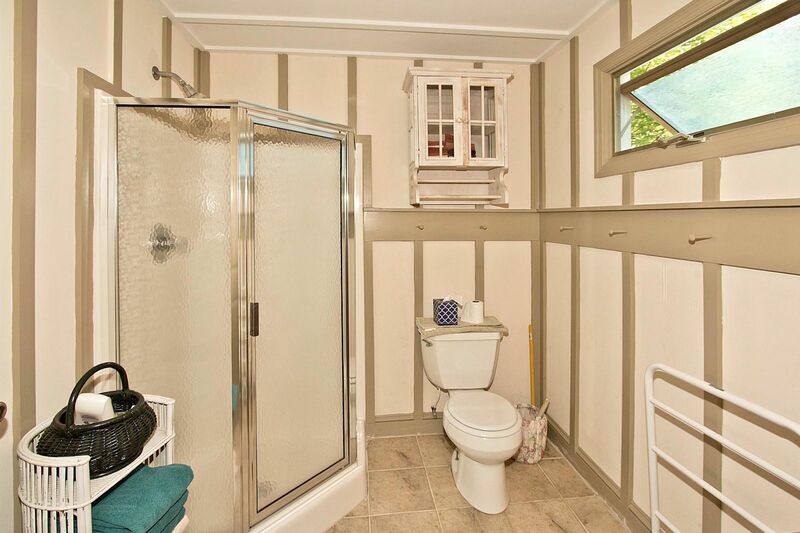 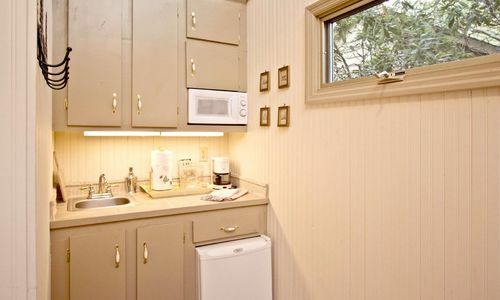 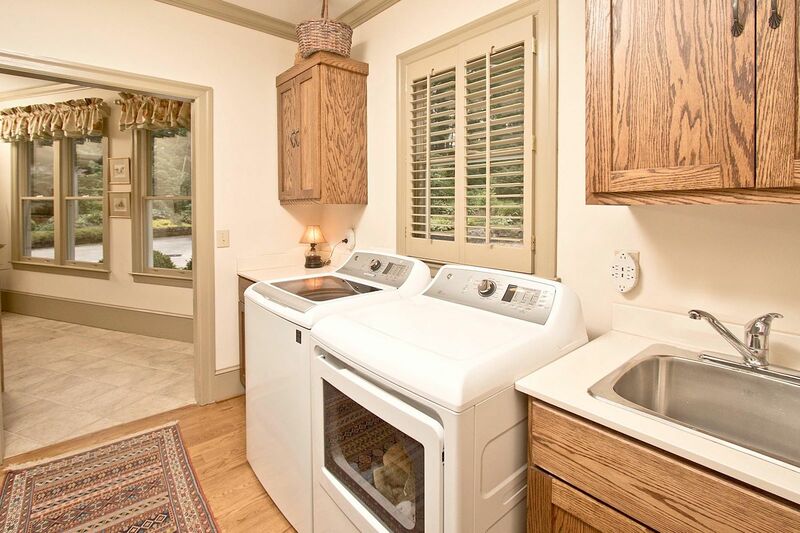 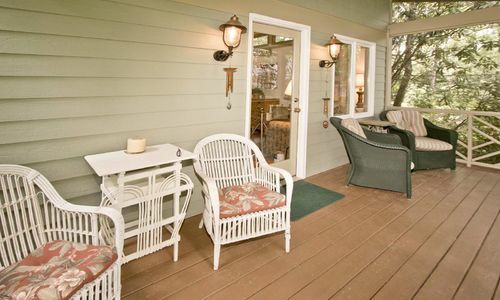 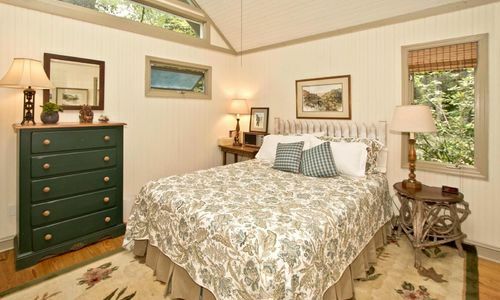 The 1/1 guest cottage is adorable, with a kitchenette, and full bath and private screened porch perfect.